Unopened cosmetics stored correctly, can stay fresh and usable. However when they are stored in hot or humid conditions (like the bathroom) and are exposed to air, bacteria can breed, posing a risk of infection to your face, eyes and lips. It is often impossible to tell if cosmetics are past their prime so use Spring as an excuse to throw out any old products, especially mascaras which should be replaced every 3 months. Any ingredient separation or funny smell is a sign it is time to replace a product. 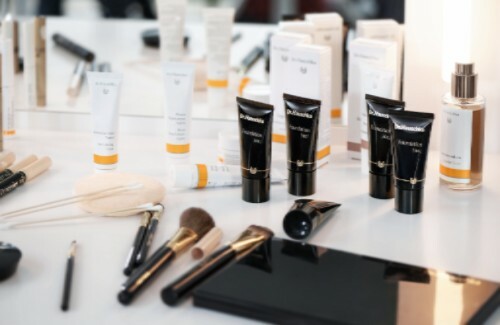 As a rule of thumb, apart from mascara your products should be replaced every 12 months, every 6 months for liquid eye products such as liquid eyeliner or cream eyeshadows as our eyes are the most susceptible to infection. Be extra careful with eyeliners by sharpening them slightly before each application, however they will last 12 months. With their waxy texture, Lipsticks have the longest lifespan and can last up to 2 years. However, avoid sharing lipsticks and lip-gloss to reduce risk to your lips. Brushes should be washed weekly with a mild shampoo as they are the perfect breeding ground for bacteria.